Enhance your game-playing experience with the Imperial Ergonomic Video Rocker Gaming Chair. 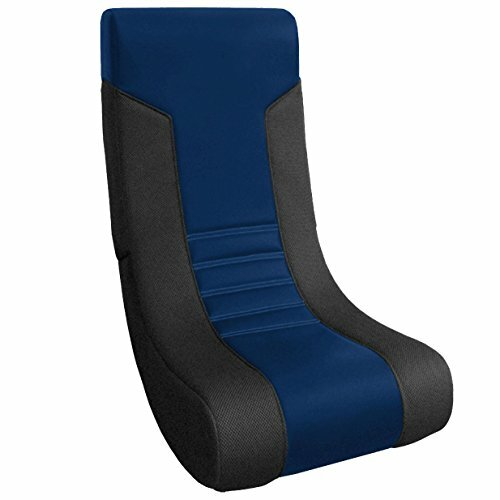 It's ergonomically designed to minimize fatigue and discomfort which allows you to remain comfortable for hours, especially during extended gaming sessions. The smooth rocking motion also makes it ideal for reading books or watching movies. It features a sturdy base and a padded hardwood frame. Upholstered with microfiber and mesh fabric, this chair is extremely soft and can be cleaned with ease. Measuring 17" L x 16" W x 29.5" H and weighing 23 lbs., this gaming chair is fun for the whole family. When not in use, it folds down to just 15" H, making storage convenient.